Stephanie is the Artistic Director for Spectrum Choral Academy - directing all three choir levels. She has extensive experience and training as a choir director of children and youth ages 5 to 20. She is also a trained Music Together® instructor (early childhood music program for newborns through age 5). She has proven herself a creative and inspirational teacher and choral conductor, with her students frequently becoming section leaders of their school choirs, participating in honor choirs, holding lead roles in musicals and going on to major in Music Education, Music Performance and Theater Arts in college. Stephanie has a passion for both directing choirs and developing choir-related programs. Stephanie began studying piano and singing in choirs at the age of 3 and now has 20 years teaching experience. She is a 2002 graduate of Pacific Lutheran University with a Bachelor of Music degree in piano performance. She was the Founding Artistic Director of Cappella Choirs in Port Orchard, WA and served in that position for 10 years, from 1998 through 2008. Stephanie also served as Associate for Children's and Youth Choirs at First Presbyterian Church of Bellevue from 2004-2012. In that position, she directed Good News Group (grades 4-7) and accompanied Bel Canto (grades 8-12), while planning tours for Bel Canto to California and Costa Rica. Stephanie also maintained an active studio private piano and voice students from 1992-2012. 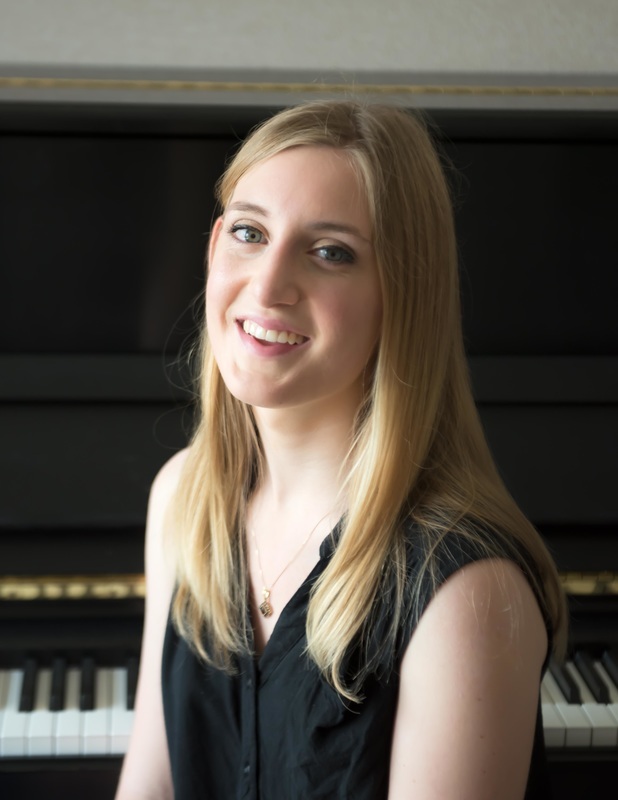 In addition to her work with choirs, Stephanie is studying Waldorf education and Dalcroze Eurhythmics while developing a unique, hands-on music theory program which is part of Spectrum Choral Academy. This program will soon be available to the public. Stephanie is an active member of the American Choral Directors Association, the Dalcroze Society of America and MENC. Her choirs have toured to PICCFEST (Eugene, OR), the Pacific Rim Children's Chorus Festival (Honolulu, HI), the Manhattan Concert Productions Festival (Carnegie Hall - New York, NY) and multiple trips to California. Stephanie and her husband Donald have over 12 years experience planning successful choir camps, festivals and tours. Together, they coordinate the Fort Worden Children's Choir Festival, Youth Choir Festival Northwest and Northwest Choir Camps. They live in Port Orchard, WA with their four musically talented children. Donald is the Managing Director, Accompanist and Music Theory Instructor for Spectrum Choral Academy. He has 35 years of experience as a professional musician, choir director, and music teacher. He was the founding director of the Prestant Boys Chorus of Port Orchard and served as their director until 2008. He also served as the director of the Port Orchard Community Chorale from 1997 to 2003. Donald graduated in 1982 from Pacific Lutheran University with a Bachelor of Music degree in piano performance. He maintained a private teaching studio for piano and clarinet students from 1982-2012. Additionally, Donald served as accompanist and substitute choir director at First Presbyterian Church of Bellevue from 2006-2012. Julie Mandery is an experienced musician and educator and loves exploring music with kids of all ages. Julie grew up in Kitsap County, Washington, studying piano and participating in school band for many years. She went on to complete her BA in Music in 2003 at Thomas Edison State College. She has taught piano lessons and worked as an accompanist for over fifteen years, and has also recently started teaching Kindermusik classes for young children. She runs Mandery Music Studio (an active piano studio with regular recitals and music events) out of her home in Port Orchard, where many Spectrum Choral Academy singers take lessons. Julie and her husband live in Port Orchard with their two young children. Karen Sundell has been playing the piano since age 5. She began accompanying school choirs and soloists in the 6th grade and has continued to this day. She is currently invovled with the Chapel Hill Presbyterian Church choir, where she has sung and played piano/keyboard for the past 10 years. Karen and her husband ran a computer photography business called Sundell Enterprises for 18 years. She also has experience teaching piano lessons. Karen has four children. Music has always been a big part of their family. Her two youngest daughters currently sing in Spectrum Children's Chorus. Karen enjoys outdoor adventures such as climbing Mount Rainier and skydiving. Hiking in the summer is one of her favorite activities. Rebecca sat through her first choir rehearsal when she was just a few weeks old, having grown up in a very musical family. She began singing in choirs at the age of five, attending annual choir camps, choral festivals, and choir tours her entire life. She has toured and performed on stage at Carnegie Hall and Benaroya Hall for invitational concerts. She has participated and performed in each of the annual Fort Worden Children’s Choir Festivals held from 2000-2016 held in Port Townsend, WA. The last three years she also acted in the role of staff. Additionally, she has toured with choirs to Anaheim and San Francisco, California and Costa Rica. Rebecca has rehearsed and performed in concert with internationally known conductors including Rebecca J. Rottsolk, Dr. Juan-Tony Guzmán, Jennifer Price, Judith Herrington, Emily Ellsworth, Kris Mason, Robert Geary, Dr. David Brunner.Rebecca has taken private music lessons for clarinet, piano, and voice. She has now been singing in select choirs for a total of 14 years. As a mezzo-soprano, Rebecca’s favorite part is singing harmony – although she has a wide range and is flexible enough to have been assigned everything from Soprano 1 through Alto 2 in her various choirs over the years. In addition to choir, Rebecca has a passion for music theory and working with children/youth. She studied advanced music theory in college and currently teaches two weekly Music Theory classes for Spectrum Choral Academy. During the week, Rebecca works at Discovery Village in Gig Harbor, WA.